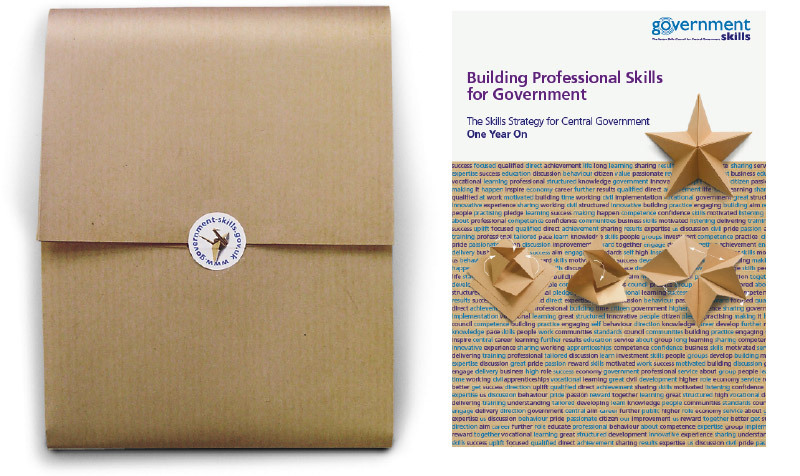 Wrap and strategy report cover. 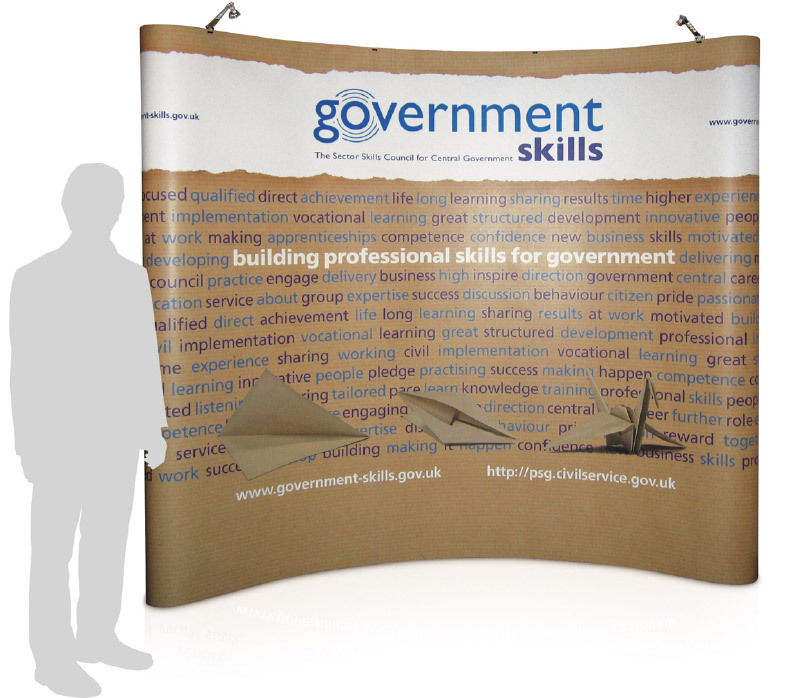 The newly branded agency was relaunched at the Civil Service Live event at the QE2 Conference centre in Westminster. 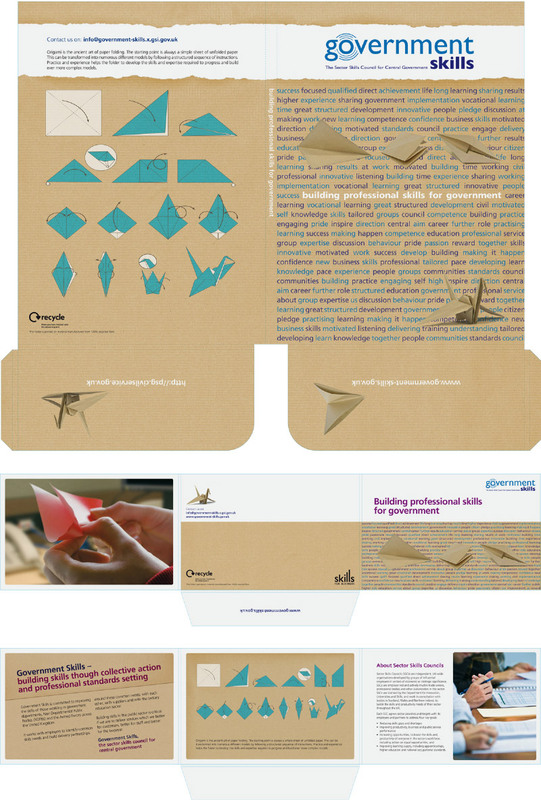 Playing on the theme of origami, a wrap made from a single sheet of paper was used to create a folder for marketing material. 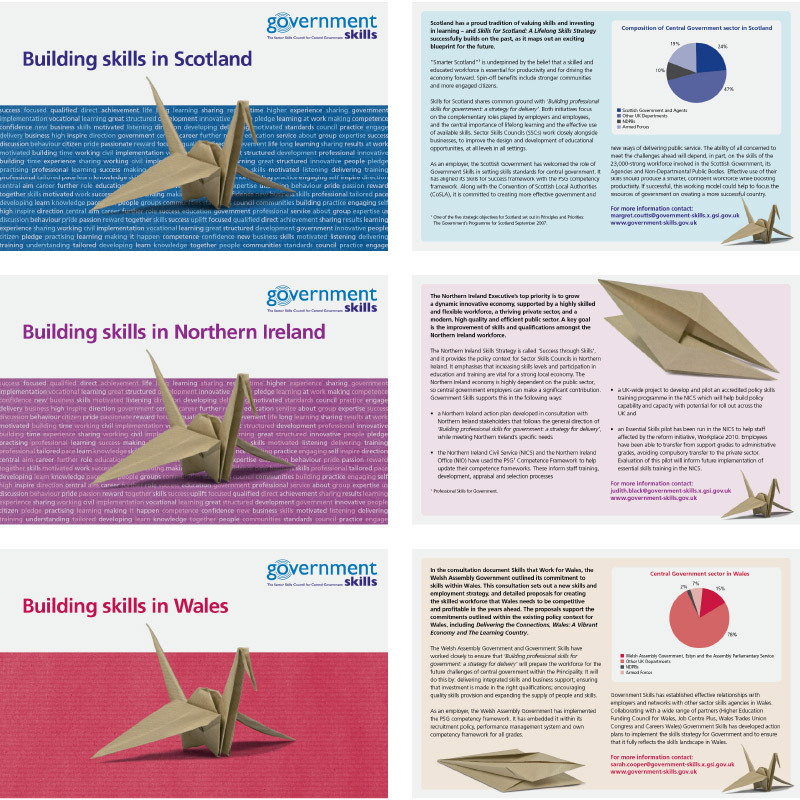 Our Words Director, Catherine, edited a lengthy report for Government Skills, blending the voices of a number of different contributors, so that the work appeared to be written by one author and had an authoritative, confident tone. 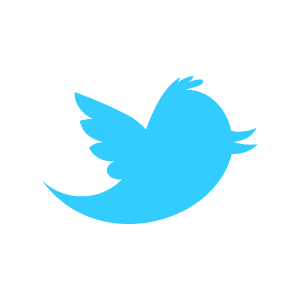 Here’s a quick summary: skills are good and we need more of them.